Some images are very effective at capturing history. This real photo postcard is one of those historic photographs. The image features World War I prisoners of war held at Camp Konigsbruck. The POW camp held Serbian, Russian, and French prisoners of war. The camp held about 15,000 captives. I am unsure if this photo shows four prisoners or two prisoners and two guards (the men wearing heavy coats). One of the possible “guards” is wearing a red cross armband. Note the high barbed wire fence in the background. This photograph was taken sometime around 1916. Konigsbruck is a town in the German state of Saxony. It is located only 17 miles from Dresden. This cabinet card portrait features a little boy sitting on a tricycle. The bike appears to be made from wood. The child is wearing a bow tie and a serious expression. The image was produced by the Mohler studio in Topeka, Kansas. J. W. Mohler was born in Indiana in 1850. While young, his family moved to Missouri. Mohler enlisted th the 3rd Illinois Infantry (Co. H) as a fifer. He spent two years at a garrison in Detroit. In 1871 he married Belle Viard. He came to Topeka to work as a photographer in 1880. He is listed in the Topeka business directories from at least 1882 through 1895. At one point he was partnered in a photography business named Mohler & Rector. This cabinet card photograph features a cute little girl posing for her portrait at the Everitt studio in Marquette, Michigan. She is wearing jewelry, flowers and a ribbon and lace collar. She is also wearing an adorable expression. The photographer of this image is Henry Everitt. He is listed in Marquette’s 1894 business directory. 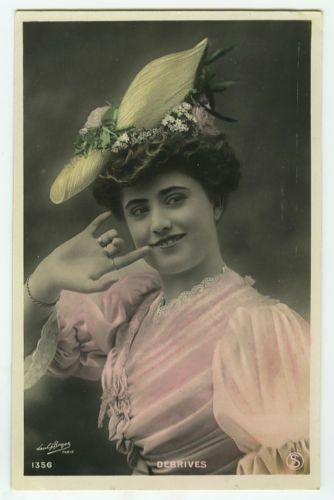 This vintage real photo postcard features silent film star Jacqueline Logan (1904-1983). Logan had auburn hair and green eyes. She was considered to be very beautiful. Logan was a “WAMPAS Baby Star” of 1922. The Western Association of Motion Picture Advertisers sponsored the WAMPAS promotional campaign. Each year between 1922 and 1934 the promotion honored 13-15 young actresses who were predicted to be on the cusp of movie stardom. Other honorees besides Logan included Clara Bow, Joan Crawford, Fay Wray, and Ginger Rogers. Jacqueline Logan was born in Corsicana, Texas and grew up in Nebraska. She worked briefly as a journalist in Scottsbluff, Nebraska and than went to Colorado Springs for health issues. She took a journalism course there and than moved to Chicago where she found a job dancing in a stage production. She had told her family she was going to Chicago to attend college. She then went of New York City with a theater troupe. 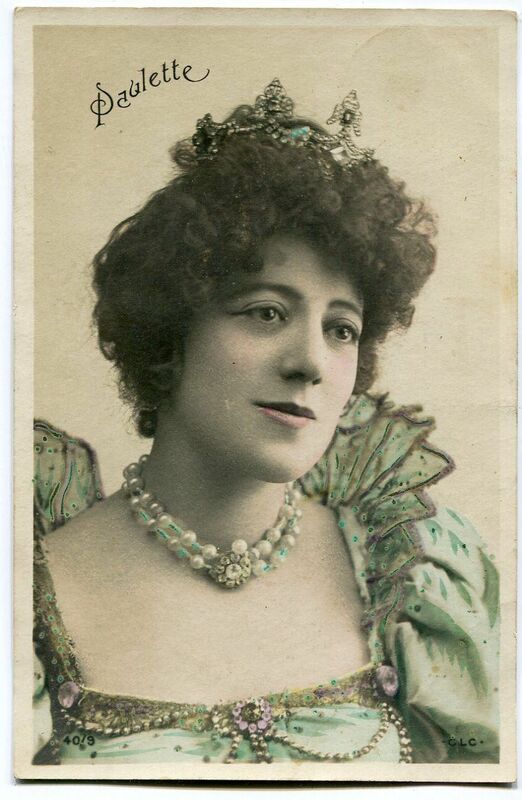 While in New York, she received a small part in the Broadway musical “Florodora (1920). She was noticed by Flo Ziegfeld who hired her as a dancer. She also was selected to model in photographs by Alfred Cheney Johnston. By 1921, she began appearing in films. Her first role was in “The Perfect Crime”. Also featured in the film was Carole Lombard, who at the time, was a child actress. Cecile B. DeMille selected Logan to play Mary Magdalene in the film “King of Kings” (1927). The movie broke audience attendance records. With the advent of “talkies”, Logan had less success. However, she did appear in “Show of Shows” (1929) in which she was a member of an all-star cast. Next, she went to England to do stage work. She received many good reviews. She was then hired by British International Pictures to write and direct films. She was successful in her writing and directing. When she returned to Hollywood she found that studios were not interested in hiring her for behind the camera work. Their resistance was likely predominately due to not wanting a female to direct films. Back in America, she appeared in several Broadway shows including “Merrily We Roll Along” and “Two Strange Women”. In 1934, after her marriage to an industrialist, she retired from films. The IMDB web site reports that Logan has 61 film credits between 1921 and 1931. The Internet Broadway Database lists 3 Broadway play credits for the actress between 1920 and 1935. In her later years, Logan became a conservative political activist and member of the John Birch Society. 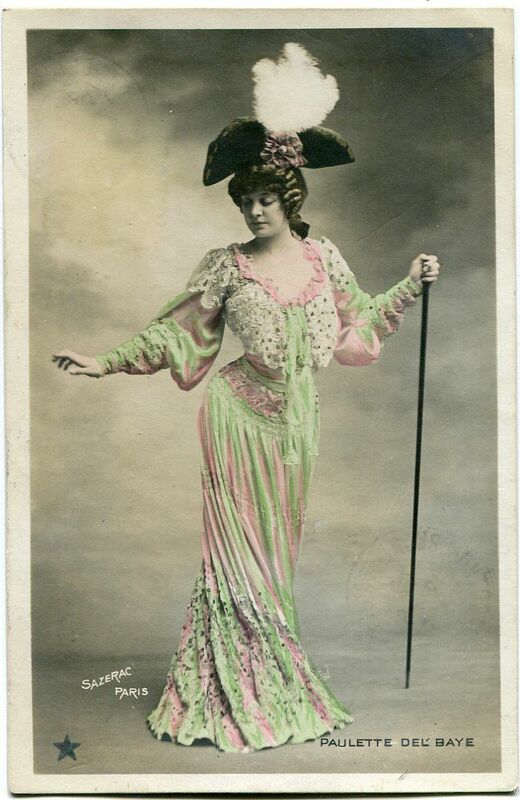 This real photo portrait postcard was produced in France. It was part of a series (no. 197) called “Les Vedettes de Cinema (Stars of the Cinema)”. 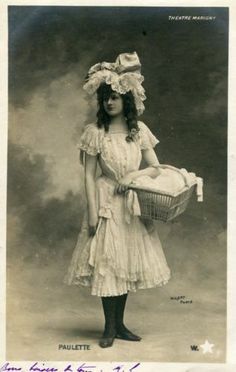 The photograph was taken at the Alfred Noyer studio (AN) in Paris. The actual photographer may have been Witze. The postcard includes an advertisement for Fox Film, indicating Logan’s affiliation with the studio at the time of the photograph. The second photograph of Miss Logan is a press photo from 1928. Judging by the title of the text on the reverse (see below), this image appeared in a newsreel. Jacquline Logan had made the news because she had committed bigamy. Apparently she married Larry Winston before her divorce from Ralph Gillespie had become finalized. It appears she was too impatient to wait for the ink to dry on her divorce decree. The little girl seen in this cabinet card portrait is absolutely adorable. Her hair is disheveled but the “wild look” suits her. Note the toy seen in the bottom left hand corner of the photograph. The toy appears to be a train car, or perhaps, a circus car. The studio that produced this image is the American Photo Company which was located in Luton, England. Luton is a large town in Bedfordshire, about thirty miles northwest of London. It is interesting that the American Photo Company is located in England rather than in the United States.